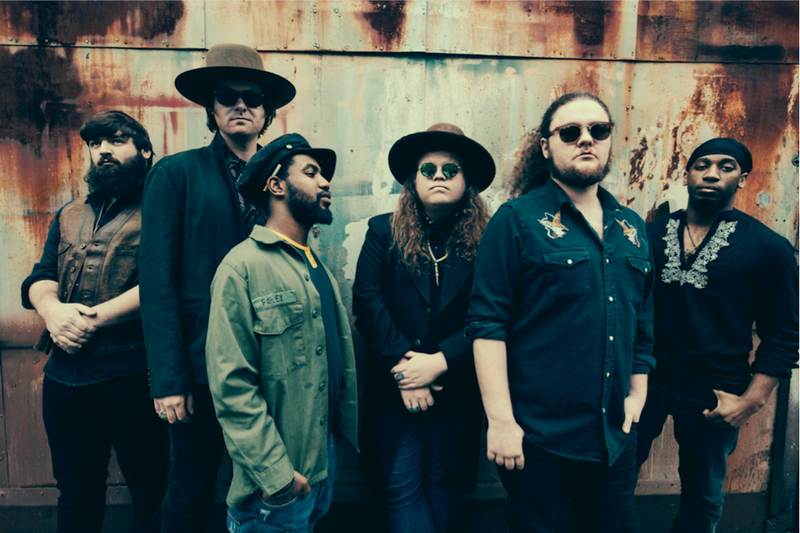 The fast-rising Marcus King Band have revealed a new track, ‘Where I’m Headed’, taken from their upcoming/third studio album Carolina Confessions, out October 5th via Snakefarm Records on CD, vinyl & DL. ‘Where I’m Headed’ is the latest song to be showcased from the album, following on from ‘Homesick’ & ‘Welcome ’Round Here’. Blending emotive brass with soulful gospel backing vocals, the track is a driving and uplifting journey from laid back acoustic tones through to howling solos, spotlighting Marcus’ virtuosic guitar playing and impassioned vocal talents. Produced & mixed by Grammy award-winner Dave Cobb (Chris Stapleton / Sturgill Simpson) at Nashville’s iconic RCA Studio A, Carolina Confessions sees 22-year-old Marcus and his band taking a major leap forward in terms of song-writing, production, musical dexterity and emotional weight. The featured tracks, including lead UK single‘Welcome ’Round Here’, a potent mix of blues-soaked guitars and intoxicating crescendos, find the group’s trademark sound buoyed by a new narrative depth, as Marcus delves into heavy themes: absolution, guilt, leaving home, yearning, love and other affairs of the soul. The album features 10 brand new songs, all penned by Marcus except for ‘How Long’, a co-write with The Black Keys’ Dan Auerbach and veteran songwriter Pat McLaughlin. Throughout the record, Marcus – born and raised in Greenville, South Carolina – exhibits an almost Southern gothic sensibility in his songs, owning up to failed relationships, portraying the complex connection with his hometown, and generally displaying an expansive musical firmament in the process. A Blue Ridge Mountain boy, Marcus has been writing songs and performing onstage for half of his lifetime, and fronting his own groups for nearly a decade. Since he was a teenager, he’s been trading licks with famous fans and mentors Warren Haynes and Derek Trucks – indeed, so blown away was Haynes by the then-19-year-old that he signed him to his Evil Teen label, releasing the band’s debut album, ‘Soul Insight’, in 2015 and producing the self-titled follow-up a year later. Simply, Marcus and his five band-mates – drummer Jack Ryan, bass player Stephen Campbell, trumpeter/trombonist Justin Johnson, sax player Dean Mitchell and keyboard player DeShawn ‘D-Vibes’ Alexander – are on a mission to create a fresh musical experience effortlessly combining rock, blues and soul into a dynamic and atmospheric sound. The UK dates in October come in the wake of a huge US run taking in shows on theTedeschi Trucks Band‘s Wheels of Soul Tour, plus headline appearances in New York, Boston, Nashville, San Francisco and Los Angeles. Marcus also has his own ‘Family Reunion’ music festival in North Carolina.